Theatre Trivia Tweet: Pippin's Leading Player | All Tickets Inc.
Choreographer/director Bob Fosse shaped Pippin into a Broadway hit. 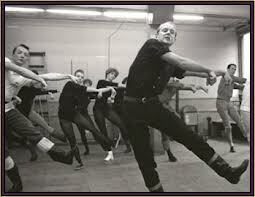 Who played the Leading Player in the musical Pippin, which was directed by Bob Fosse? That would be Ben Vereen who won the Tony for Best Perfrmance by a Leading Actor in a Musical for his efforts.